Avalon Hollywood invites you to dance 2018 away with some of the top progressive acts in the house and techno scene to date. Highly sought after producers Jerome Isma-ae, Paul Thomas, and Stan Kolev will be taking over the Avalon stage on Saturday, December 29th with support from local acts Ted Nazarian and Forgotten Modern. German producer Jerome Isma-ae has travelled the world time and time again, showcasing his unique techno-influenced progressive sound. Constantly featured in the top of some of the most distinguished music charts for dance and trance, it’s safe to say that we’re thrilled to welcome him to the Avalon stage. Like Jerome, Paul Thomas has headlined some of the largest clubs located all over the world. Influenced by trance, techno, and progressive house, Paul has made quite a name for himself in all of these different genre communities. Known for his dark and inviting progressive sounds, Miami-based producer Stan Kolev is sure to create a hauntingly unique atmosphere. He has released over 700 original tracks with some of the most well-respected record labels in the electronic scene, which means endless tracks to keep the night going. 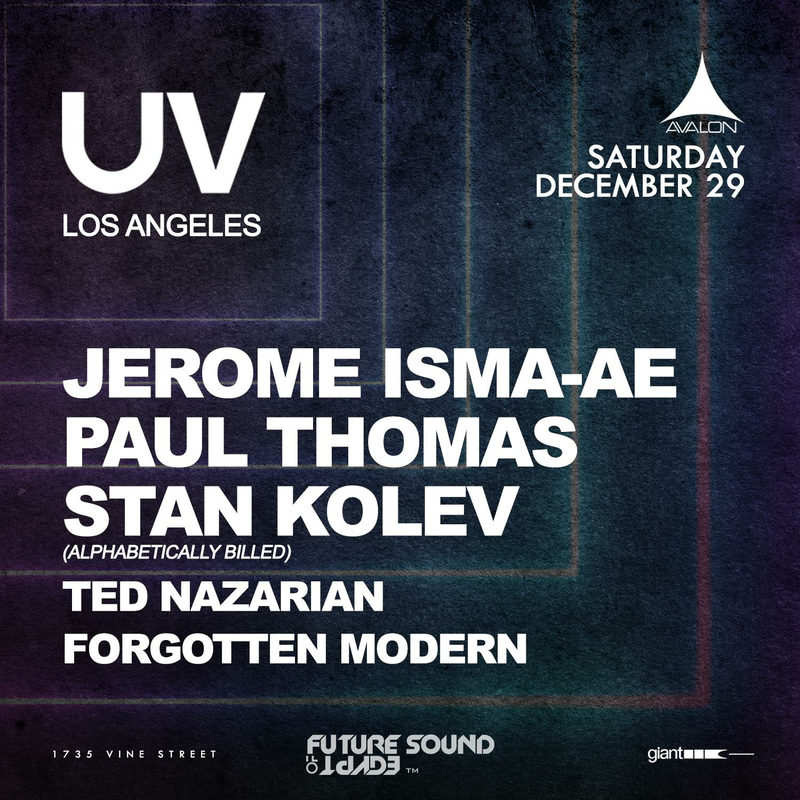 Be sure to mark your calendars for Saturday, December 29th, as Jerome Isma-ae, Paul Thomas, Stan Kolev, and local acts Ted Nazarian and Forgotten Modern take over the Avalon stage.